Manzoor Sakhirani Sindhi Folk Music Singer. He is most popular Classical Music, Lok Music, Pop Music Artist. He sung Super Hit songs in different language and he create great name in Sindhi Music. Manzoor Sakhirani is popular Sindhi Music Artist and he has sung most popular Sindhi Songs in all over Sindh due to his new stylish singing. Sindhi youth culture like her singing style, he is great Artist of KTN TV Channel, Kashish TV Channel, Sindh TV Channel, and other Sindhi popular TV Channels. He sung all kinds of songs, as per demand of Sindhi peoples. He is highly admired by the people of Sindh and his songs are very popular in new generation. Sindhi poets, such as "Hazrat Shah Abdul Latif Bhitai R.A", "Hazrat Sachal Sermat R.A", "Ustad Bukhari", and other popular Sindhi Poets. 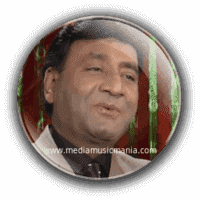 He sung Pakistani Sindhi Songs and Cultural Music of Sindh, and also sung Sindh Dherti songs in Sindhi language. Manzoor Sakhirani has dedicated his life for the Folk Music of Sindh, specially he sung super hit Lok Music, and even determined to give away his life for Sindhi stylish Music. Manzoor Sakhirani sung popular Sindhi Songs new different on Sindhi Channels, he is demanded Artist of Sindh, his love with Sindhi Music is memorable for all time. I have selected below most popular Music of Manzoor Sakhirani.